Who's actually using their iPhone to call people? I'm not! 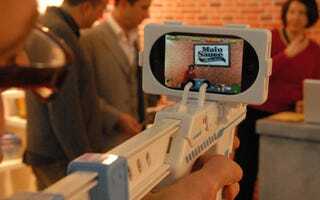 And in an effort to help the iPhone better serve its true purpose—you know, a wacky augmented reality gaming machine—we now have the Appgun. Pew pew.